Entrepreneurs who want a big, juicy piece of the $122 billion burger restaurant market in the U.S. have an impressive array of choices among the 25 best hamburger franchises on this list. There are those who have predicted a decline in hamburger sales as a growing number of people become more adventurous in their desire for exotic flavors, which can be seen in the rising demand for Mexican food from chains like Chipotle. But the fact remains that non-burger concepts have a lot of ground to make up if they’re going to catch the burger segment with such long-standing chains as McDonald’s, Burger King, Wendy’s, Hardee’s, and others. 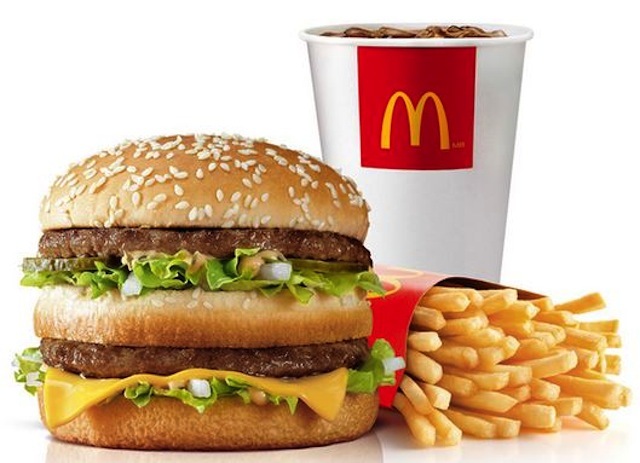 It is interesting to note that many of the largest burger chains are reducing the number of company-owned stores by “refranchising” them in order to reduce corporate capital expenditures and increase franchisee royalties, both of which can boost profit margins. The more recent disruptions in the burger market are all the new fast-casual and upscale “better burger” chains that have sprung up in the new Millennium. These newcomers have combined the convenience of quick ordering with higher-quality, healthier ingredients than traditional fast food. People seem to be willing to pay slightly higher prices for what these fast-casual chains are dishing out. The hamburger market remains the largest segment of the fast and fast-casual restaurant industry, pulling in 30% of the industry’s revenues, which is twice that of the next-largest segment, pizza, which pulls in 15% of the industry’s revenues. 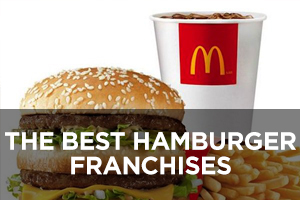 McDonald’s is the undisputed world champion when it comes to burger franchises. When a company is that big, change comes neither quickly nor easily, but McDonald’s does a surprisingly good job of keeping up with the times, such as moving towards healthier menu options as signaled by the removal of high fructose corn syrup from their hamburger buns, a stated commitment to switch to antibiotic-free chicken, phasing in cage-free eggs by 2025 in the U.S. and Canada, coffee beans sourced from operations certified by the Rainforest Alliance, and so on. The chain has also introduced touch-screen ordering kiosks in many locations that breaks up the monotony of standing in line waiting for a cashier. 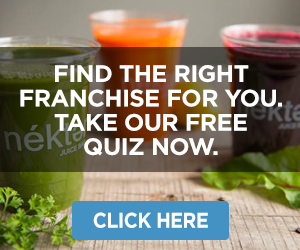 This company currently ranks #1 on Entrepreneur magazine’s Franchise 500 list. 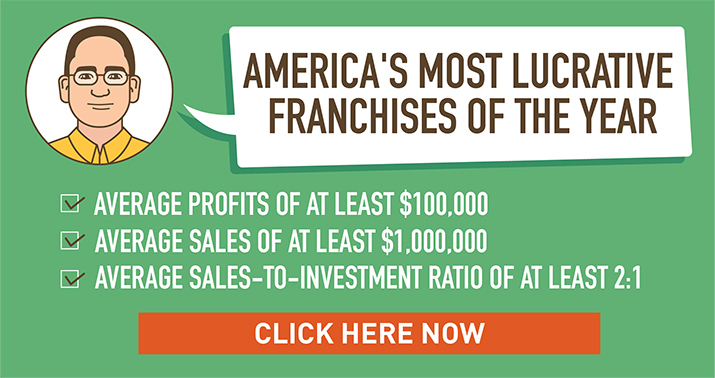 Founded in 1955 and franchising since then, the number of locations has continued its upward march and now stands at an incredible 37,456, of which 2,885 are company-owned, 13,282 are U.S. franchises and 21,289 are located outside the U.S.
Burger King is the second-largest fast-food hamburger chain, although its 16,767 locations (as of December 31, 2017) are far behind the 37,456 of McDonald’s at 37,000+. It started in 1953 as InstaBurger King, but hit financial difficulties, prompting franchisees James McLamore and David Edgerton to buy it and rebrand it as Burger King. After changing ownership several times, it went public in 2006. In 2010, 3G Capital of Brazil acquired a majority stake in Burger King. The home of the Whopper went public again in 2012, with 3G maintaining a 70% stake. In 2014, Burger King merged with Canadian doughnut chain Tim Hortons. Wendy’s is the third-largest fast-food hamburger chain with its 6,600+ locations, behind McDonald’s (37,000+) and Burger King (16,000+). 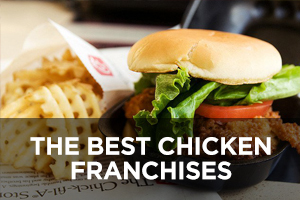 Founded in 1969 and franchising since 1971, Wendy’s is known best for its square burgers, sea salt fries, and the thick Frosty frozen dairy dessert. The company was fairly stagnant in the 1980s until it came up with its hugely famous “where’s the beef” ads in 1984, which single-handedly reinvigorated the brand, which it followed up with more than 800 commercials featuring founder Dave Thomas. Since Thomas died in 2002, the chain has yet to come up with another effective ad campaign. Sonic Drive-In Restaurants dates back to 1953 when Troy Smith opened his first restaurant in Shawnee, Oklahoma, called Top Hat Drive-In. After perfecting the system and discovering the name was already trademarked by someone else, the company was renamed to Sonic with the motto Service at the speed of sound and now features covered drive-in stalls with orders placed over an intercom and food delivered by carhops, often on roller skates. Many locations feature patio seating, indoor seating, and drive-thru service. 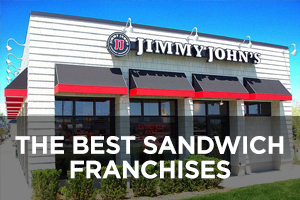 This company currently ranks #6 on Entrepreneur magazine’s Franchise 500 list. Founded in 1953 and franchising since 1959, the number of locations has increased only slightly in recent years to the current total of 3,593, of which 228 are company-owned and all are located outside the U.S.
Hardee’s dates back to 1960 when Wilber Hardee opened the first location in Greenville, North Carolina and the chain has been selling fast food ever since, although legend has it that Wilber lost controlling interest of his company in a poker game. In 1997, the Hardee’s chain was acquired by CKE Restaurants, the parent company of the Carl’s Jr. burger chain. Hardee’s went through a period where its advertising was criticized for being too sexually suggestive, and the chain has recently moved away from those kinds of ads. This company currently ranks #9 on Entrepreneur magazine’s Franchise 500 list. 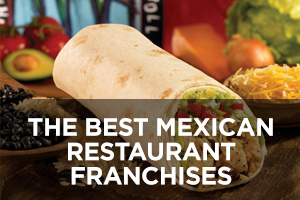 Founded in 1960 and franchising since 1962, the number of locations has risen over the past 10 years from 1,915 in 2008 to the current total of 2,242, of which 118 are company-owned and 318 are located outside the U.S.
Jack in the Box was created by Robert Peterson, who was already a successful restaurateur when he started opening Topsy’s burger drive-ins during the 1940s in and around San Diego, California. In the 1950s, the company was redesigned as Jack in the Box and began expanding throughout southern California and the Southwest. The menu typically features 13 different signature burgers, a few of which change over time as the company creates new offerings, the most recent of which has been replacing its sirloin burgers with ribeye burgers. The chain has made a name for itself in recent years with humorous commercials featuring the character of Jack. 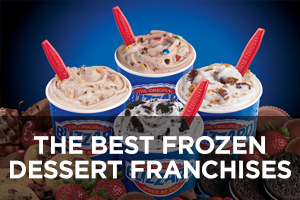 This company currently ranks #43 on Entrepreneur magazine’s Franchise 500 list. Founded in 1951 and franchising since 1982, the number of locations has held relatively steady over the past decade and currently stands at a total of 2,242, of which 157 are company-owned and all are located in the U.S.
Carl’s Jr. started out in the 1940s as a hot dog cart operated by Carl and Margaret Karcher in Los Angeles and then a large drive-in BBQ restaurant in Anaheim before settling into being a burger chain of smaller drive-ins called Carl’s Jr. in the 1950s. The chain is known for its Original 1/2 lb. Six Dollar Thickburger, which was introduced in 2001 as being worth $6 but sold for $3.95. Inflation, however, has eaten away at that value over the years. 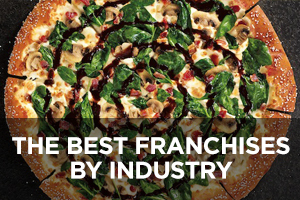 This company currently ranks #15 on Entrepreneur magazine’s Franchise 500 list. Founded in 1945 and franchising since 1984, the number of locations has expanded over the past 10 years from 1,171 in 2008 to the current total of 1,641, of which 52 are company-owned and 491 are located outside the U.S.
Five Guys Burgers & Fries dates back to 1986 when Janie and Jerry Murrell opened the first location in the Virginia suburbs of Washington, DC. They took their time perfecting their concept and model, eventually enlisting the help of all five of their sons: Jim, Matt, Chad, Ben, and Tyler. 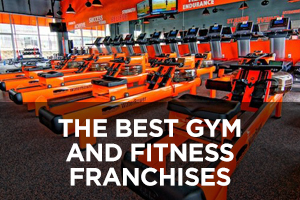 When they finally started franchising in 2003, the company saw explosive growth, with 300 franchises sold in just 18 months. And all this success was built without paid advertising, relying solely upon word-of-mouth for promotion. 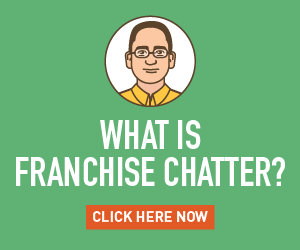 This chain has not updated its information on the Entrepreneur website for a number of years, but the company media fact sheet now claims nearly 1,600 locations. Checkers and Rally’s were separately the two largest double-drive-thru burger chains in the U.S. who finally decided to stop competing with each other and instead join forces to merge into one company. Both had previously realized that many burger franchises made a significant portion of their sales on the drive-thru, and most orders were for burger combination meals. By eliminating the costs of indoor seating and large parking lots while maximizing drive-thru efficiency with double lanes on either side of their small buildings, the business model made good sense. This company currently ranks #140 on Entrepreneur magazine’s Franchise 500 list. Founded in 1986 and franchising since 1989, the number of locations has climbed over the past 10 years from 825 in 2008 to the current total of 879, of which 256 are company-owned and all are located in the U.S.
Whataburger dates back to 1950 when Harmon Dobson had a dream to serve up burgers so big people would need to use both hands to hold them and they’d be so good people would shout, “What a burger!” The first location was opened in Corpus Christi, Texas. As the chain grew, it became known for orange and white striped A-frame stores. When Dobson was killed in a 1967 plane crash, his widow Grace took over the company, and later their son Tom became CEO in 1993. Over the years, locations were established all across the southern U.S. and there are now 824 Whataburger restaurants. Johnny Rockets was started in the mid-1980s when award-winning fashion retailer Ronn Teitelbaum wanted to recreate the look and feel of the diners and malt shops he remembered enjoying as a child. The first location in Los Angeles was modeled largely on The Apple Pan, another Los Angeles restaurant dating back to the 1940s and still operating today. The décor includes period Coca-Cola advertising, nearly life-size cardboard illustrations of women in different World War II uniforms, individual jukebox stations, plenty of chrome accents, and vintage-style red vinyl seats. 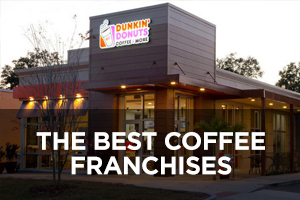 Founded in 1986 and franchising since 1987, the number of locations has expanded in recent years from 293 in 2012 to the current total of 402, of which 23 are company-owned and 199 are located outside the U.S. While the number of U.S. locations has declined in that time by 20 locations, the number of international locations nearly tripled. Smashburger gets its name from how it cooks patties – a ball of ground beef is “smashed” on the grill with a custom tool that looks like a small iron. Each patty is smashed, seasoned, and seared to order in just two minutes and forty-five seconds and further customized through bun and topping choices. It’s a hybrid of counter and table service with orders placed at the counter and then the food is brought to the customer’s table. Burgers are served open-face so customers can see all the toppings. The chain was recently acquired by Jollibee Foods Corp., Asia’s largest restaurant operator. 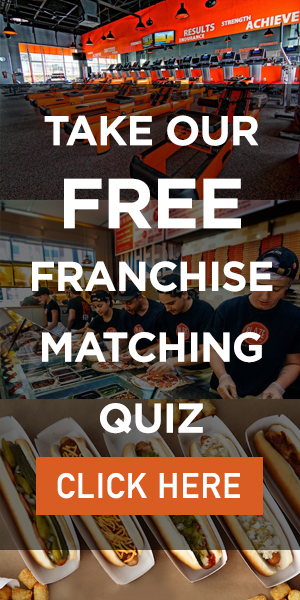 Started by fast-food restaurant veteran Tom Ryan in 2007 and franchising since 2008, the company website says there are currently more than 360 corporate and franchise restaurants operating in 38 states and nine countries. Fatburger was created by Lovie Yancey in Los Angeles, California in 1947. She called it Fatburger because she wanted people to know one of her burgers would be a meal in and of itself. The menu features hamburgers cooked-to-order along with sandwiches, salads, fries, and onion rings. Lovie sold her chain in 1990 to an investment company owned by Magic Johnson and then Fog Cutter Capital Group acquired the chain in 2003. The number of locations has declined slightly from a recent high of 164 in 2016 to the current total of 151, none of which are company-owned and 82 of which are located outside the U.S.
Wayback Burgers got its start back in 1991 as Jake’s Hamburgers, founded in Newark, Delaware by John Carter. After opening several more locations, the name was changed to Wayback Burgers. Its menu of nine signature burgers (one of which is the Triple Triple featuring nine patties and nine slices of cheese) is supplemented with hot dogs, five other sandwich options, milkshakes, salads, and a variety of sides, including fries and house-made potato chips. Unlike most competitors, some locations offer delivery service. 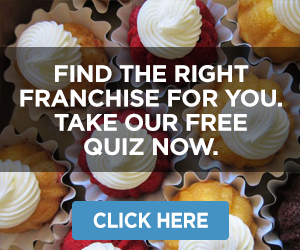 This company currently ranks #463 on Entrepreneur magazine’s Franchise 500 list. Founded in 1991 and franchising since 2006, the number of locations has steadily climbed over the past 10 years from 61 in 2008 to the current total of 142, of which six are company-owned and seven are located outside the U.S.
BurgerFi is part of the fast-casual better burger movement and got its start just seven years ago with the first location in Lauderdale-by-the-Sea, Florida. The bun for each burger is literally branded with the company name and the store vibe is more coffee-house style than typical fast-food, also achieved by offering draft beer, craft microbrews, and wine. The menu includes both meat and meatless burgers, hot dogs, sides, shakes, and frozen custard. It prides itself on using 100% natural Angus beef free of hormones, steroids, and antibiotics. Founded in 2011 and franchising since then, the number of locations has grown to 103, of which 18 are company-owned and five are located outside the U.S.
Farmer Boys was the brainchild of brothers Makis and Chris Havadjias who gained experience turning around failing restaurants back in the 1970s, one of which they developed as Farmer Boys in Perris, California. Three more brothers from the Havadjias family (immigrants from Cyprus) joined the effort, expanding the company to more locations throughout Southern California with the firm belief that farm-fresh burgers, salads, sandwiches, and cooked-to-order breakfast food will never go out of style. This company currently ranks #206 on Entrepreneur magazine’s Franchise 500 list. Founded in 1981 and franchising since 1997, the number of locations has climbed over the past 10 years from 61 in 2008 to the current total of 93, of which 35 are company-owned and all are located in the U.S. in California and Nevada. Mooyah Burgers, Fries & Shakes is a fast-casual “better burger” concept started by experienced restaurateurs Rich Hicks and Todd Istre. The chain’s creative burger offerings include turkey burgers and veggie burgers. Creative burger names, such as the 6 Degrees of Cheddar Bacon, the Sloppy Whoa, the Well D’Onion, and many others, are a signature of the chain. The chain was recently acquired by private equity firm Balmoral Funds LLC and Gala Capital Partners. Founded in 2007 and franchising since then, the number of locations has recently declined from a high of 97 in 2016 to the current total of 89, of which two are company owned and 13 are located outside the U.S.
Elevation Burger was the result of husband and wife team Hans and April Hess wanting to create a fast-casual burger experience that was healthier than most. They opened the first location in 2005 in Falls Church, Virginia, outside of Washington DC. The chain presents food that is organic, sustainable, and fresh, including burgers, fries, shakes, and malts. And it operates in an eco-friendly way as well, with each building achieving LEED (Leadership in Energy and Environmental Design) certification from the United States Green Building Council – something seen by most fast-casual restaurants as too costly to achieve – along with energy-efficient equipment and lots of recycling. There are now 46 locations, with 28 in the U.S. and 18 in the Middle East (12 in Kuwait, three in Bahrain, and three in Qatar). CaliBurger was started in 2011 by Jeff Miller to bring premium burgers to Asia and has since expanded to several other countries. The concept proved successful as many Asians like going to American places, and especially California-style places. The chain finally arrived to the U.S. in 2015 with its first store in Seattle. It has positioned itself as improving on the success of another popular California-based burger chain, In-N-Out Burger, although it has been accused of essentially copying that iconic chain. 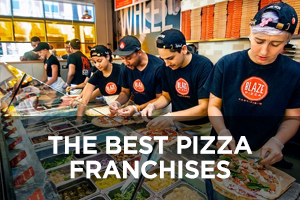 Franchising since 2013, there are now 11 U.S. locations and another 29 spread around the globe in 12 countries for a grand total of 40 stores. The Counter Custom Burgers is a full-service, casual dining concept featuring industrial décor and upbeat music as the backdrop for more than a million possible burger combinations derived from seven proteins, 13 cheeses, 34 toppings, 21 sauces, and 11 types of buns (or served on fresh greens for carb-conscious people). Customers are handed a clipboard with a list of ingredients to check off what they want in order to build a customized burger. The menu also features other sandwiches, sides, and desserts as well as beers and wines. Founded in 2003 and franchising since 2005, the number of locations has dropped slight from 41 last year to the current total of 39, of which three are company-owned and eight are located outside the U.S.
Burger 21 is an upmarket burger chain that gets its name from its menu, which presents 21 chef-inspired innovative burgers along with signature hand-spun shakes, hot dogs, salads, sides, and desserts in an upbeat, hip environment. It was started by Mark and Arlene Johnston, owners of The Melting Pot fondue restaurants, with the first location in Tampa, Florida. On the menus and walls are found lots of “B-isms” that capture the spirit of the chain: “B-saucy,” “B-different,” “B-comfortable,” “B-involved,” and so forth. On the 21st of each month, every location donates 10% of the day’s proceeds to a local charity or school. There are currently 27 locations in 10 states, concentrated mostly in the Southeastern states of Florida and Georgia. BGR The Burger Joint got its start in 2008, and the BGR part of the name is an acronym that stands for Burgers Grilled Right, which means grilled on an open flame both to order and to temperature. All new stores from here on out will be branded as BGR – Burgers Grilled Right. The menu features a rotating selection of specialty burgers such as In Guac We Trust, Hawaiian, The Gobbler, Caprese, Buffalo Blue, Chili Mac, AuPoivre, Sriracha Me Crazy, Korean BBQ, The Reuben, and others. There are currently 23 locations, mostly in the region of Washington DC, Maryland, and Virginia, along with two in Kuwait. Big Smoke Burger is a Canadian better burger chain that was started in 2007 by Mustafa Yusuf, a Somali Canadian. It was originally called Craft Burger, but because the trademark for that name was not available, the company rebranded to Big Smoke Burger in 2011 since “Big Smoke” is a nickname for Toronto, where the company is headquartered. The menu features hand-crafted, grilled-to-order gourmet burgers and a variety of other offerings that vary by location. Founded in 2007, Big Smoke Burger started franchising in 2011. There are currently 22 locations with 13 in Canada (mostly in and around Toronto), three in Saudi Arabia (Riyadh), three in the United Arab Emirates (Dubai), and one each in Kuwait, Bahrain, and Qatar. Liberty Burger is a family-owned, Texas-grown fledgling chain founded in 2011 that is committed to sourcing its bread from local bakeries using only American-grown ingredients and meats from responsible sources (single-herd grass-fed beef and bison, minimally processed without stimulants, hormones, or unnecessary antibiotics). The menu features around a dozen creatively named burger options along with a few other sandwiches and sides. The chain also features wine, Texas-brewed craft beers, and Adult Shakes infused with various liqueurs and other spirits. 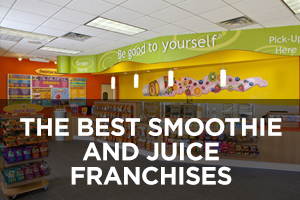 Franchising began in 2014 and there are currently six locations in Texas and one in Jackson, Wyoming. BUILT Custom Burgers by The Counter was created by the same team that started The Counter to be the fast-casual version of its better burger concept featuring humanely raised and handled, antibiotic-free, hormone-free, vegetarian-fed 100% natural beef, all-natural chicken and turkey, and vegan veggie burgers made fresh daily. Customers begin by ordering the basics – type of patty, cheese, and bun, then work their way down an assembly line to choose from among the many toppings, sides, and beverages. There are currently six locations: two in North Carolina and one each in Los Angeles, Arizona, Florida, and Canada.